Why visit Digital Health Rewired? 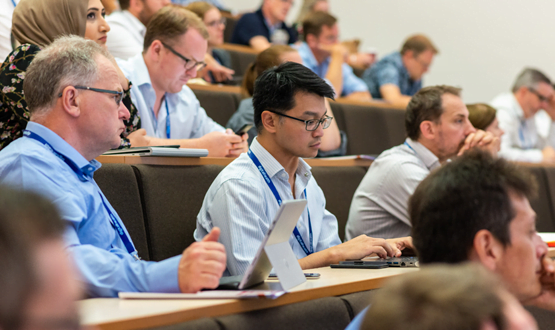 Digital Health Rewired is the essential new event for everyone in the diverse and complex UK health IT community trying to achieve better integrated patient care through use of disruptive digital technologies. Find out how your colleagues and peers, from the NHS and suppliers, are now tackling similar challenges to your own. With provocative keynote speakers at the cutting edge of the digital revolution, Rewired aims to inspire and help guide you to the next chapter of your digital journey in health and care. The central theme of the main Rewired Expo conference is how to harness the full potential of digital to better integrate and deliver health services. Rewired is from the team behind Digital Health News and Digital Health Intelligence. The Rewired Expo programme will be original and showcase some of the best examples of local digital innovation and delivery in UK healthcare, focusing on sharing lessons and knowledge from the individuals and teams leading these initiatives. The Rewired Conference and Exhibition features six dedicated zones and theatres on key disruptive technology areas, each has a dedicated programme exploring benefits achieved and the lessons learned. Each zone will enable you to meet expert suppliers, discover new case studies and develop future partnerships. The Rewired Summit, Conference and Exhibition are designed from the ground-up to encourage networking opportunities, best practice exchange and collaboration. Rewired will provide delegates with a window on some of the best digital innovation in UK healthcare, including disruptive start-ups and the opportunity to take part in the Rewired Hackday. The Rewired Leadership Summit and Conference programmes will be certified for Continuing Professional Development. CPD accreditation will be obtained for each conference stream and delegates provided with certificates. Admission to Digital Health Rewired is free to all NHS and public sector employees.